Greek figs from Evia island are world-renowned for their nutritious quality and naturally sweet taste. High quality cocoa and chia seeds for a delicious protein energy boost. Ingredients: 73% Greek dried fig*, 18% cocoa mass*, 9% chia seeds*. Net weight 50g per bar. 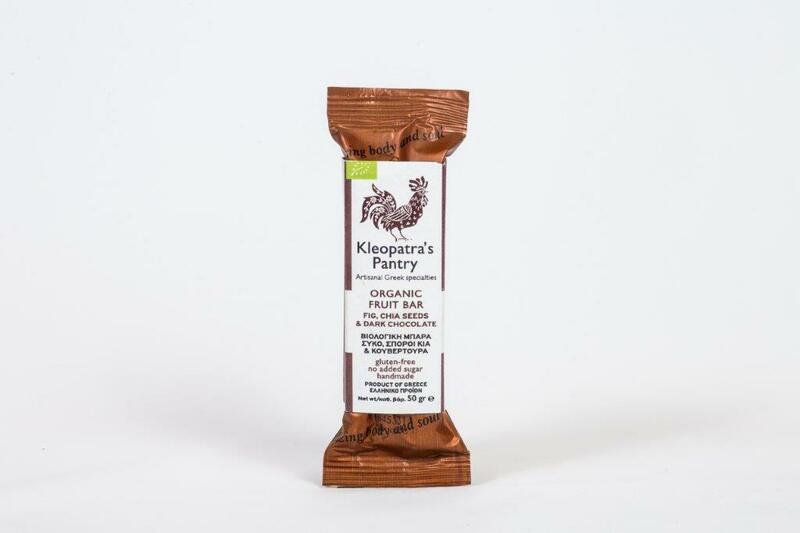 Serving tip: Apart from the obvious energy snack, try our unique organic raw fruit bars with foie gras, and as an accompaniment to fine brandy or malt whisky.